Guys can you believe the first month of 2019 is just about over and we are about to enter Chapter 2 ?. I know a lot of people think January seems to last forever, but for me , Classes have been super busy and I had a few fun adventures booked in – bonus a lot of them had been paid for in advance – always good in January!. 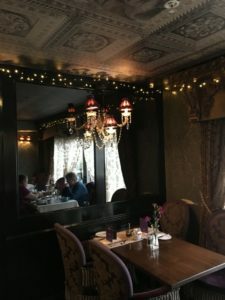 I had got my sister afternoon tea at the Town House in Durham for her Birthday back in November and we had booked it for January . It was so nice!. 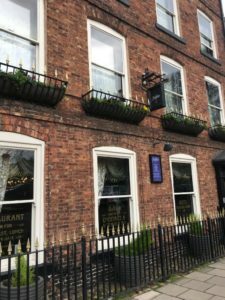 if you don’t know it, its a Gorgeous little twenties style boutique hotel right in Durham City, it really was like stepping back in time to another era, and the afternoon tea was really nice! . 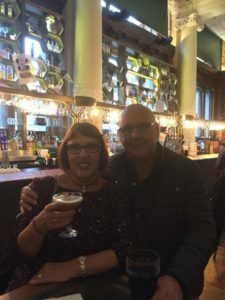 Then Peter and I had a date night to the Sage to see Dirty Dancing the musical which was fantastic!. I have seen it on the stage a few times before, but just with the smaller venue , it definitely added a little more to the show. so its been a busy fun start to the year, with plenty more celebrations to come. throughout the year. Classes have been really busy which is brilliant!. I honestly love teaching and we have really built such a lovely community within the classes ,and the small groups and in the 1-1 sessions , that sessions are always so much fun to teach with plenty banter and laughter alongside the workouts. Its said your Vibe attracts your tribe and I am so so lucky with all you guys!. I’ve also been hooked on a couple Netflix shows this month too. Have any of you watched YOU on there?. so good!!! can not wait for season 2!. I’ve also been hooked on Marie Kondo tidying up. I read her book a couple years – The magic art of tidying up and now she has her own Netflix show and I’m hooked. I’ve been decluttering the house using the Kondo method. Its about keeping the things that spark joy for you – if it no longer sparks Joy, its time to thank the item and then declutter it. Have any of you guys been watching too?. Have you been inspired to try the Kondo method?. Thursday afternoons from 28th February for 6 weeks. 4.30pm-5.15pm , for kids age 4-10. £35 for the 6 weeks. Our Small Group training programmes are currently all full at present!. I have got a couple 1-1 Pilates spaces available though so do get in touch if you would be interested in more information on those. Just a reminder I am away on Saturday February 16th for the day , so no classes this day. 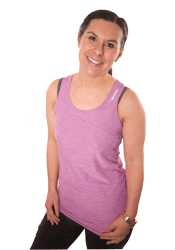 We also have our Online workouts – Just £10 per month!. Access is via a private Facebook group. There are a variety of workouts including HIIT, Pilates, strength and conditioning and Barre , with two new workouts added each week. Drop us a message for more information or to get signed up. Are you on Instagram? , if so come follow us over there – @littlemisfitjojo for behind the scenes at Mis Fit on Insta stories. 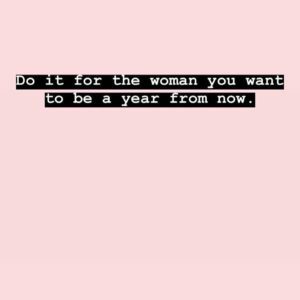 Did you see my Social media post this week – do it for the woman you want to be a year from now?. How do you want your life to look? , take some time this week to think about that and set your goals to help get you there!. lets all aim to live our best lives this year and every year after!. 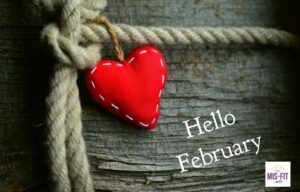 Wishing you all a Fabulous February , may it be filled with lots of love, laughter and adventure. Previous Previous post: Why Consistency is key when it comes to achieving your goals.